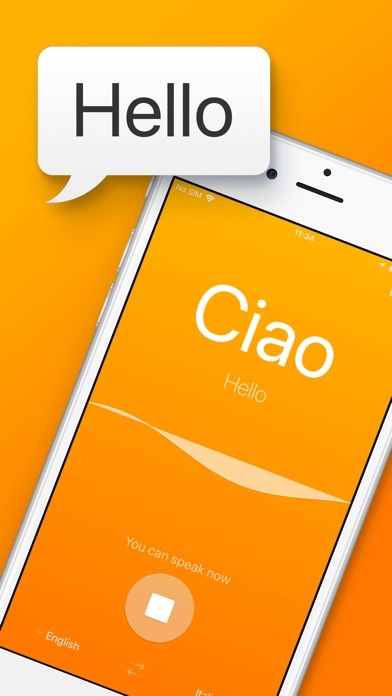 Translate Voice & Text is an essential tool for direct communication with people from all over the world. Speak or write to translate, or use the convenient conversation tool. Use it every day for travel, business and education. 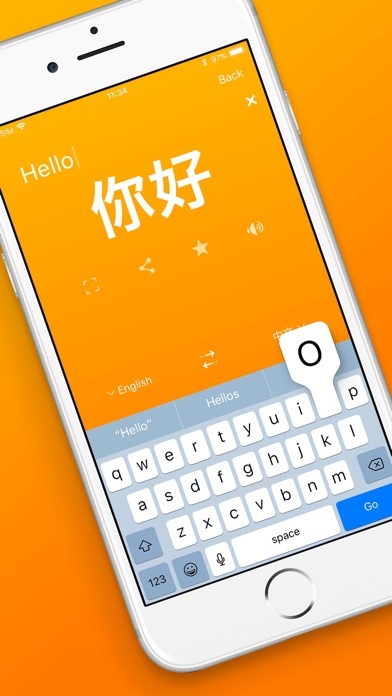 • 104 languages for text translations • 28 languages for voice translations Apple Support • Apple’s, ‘Speech (voice) Recognition’ support • Spoken voice is related to your Siri preferences Main Features • Speak mode: Speak and the app will start the translation immediately • Text-to-text mode: Type for instant translation • Conversation mode: Easily translate back and forth with your conversation partner in Conversation mode. 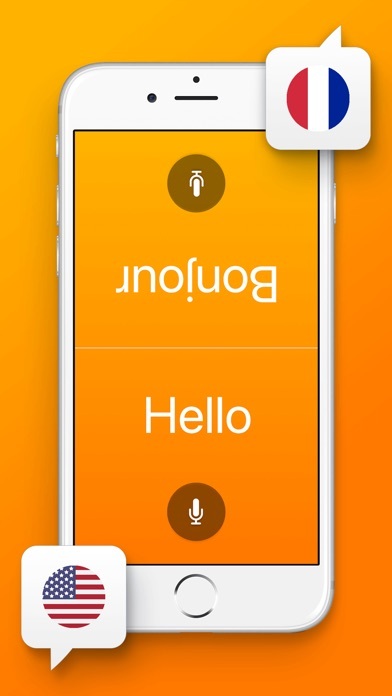 Your spoken text will appear in the selected language of your partner and the other way around. Extras • Language detection for text-to-text mode • Show translated texts in full screen mode • Share functionality: Share translated text. This feature is only supported in text-to-text and speak mode. • History view of previous translations in the history list • Favourite list of translations and languages • Text pronouncing: Let your translated text be pronounced by the App Adjustments/ Preferences • Adjust voice settings: volume & speed • Choose theme color • Detect end of sentences Supported languages VOICE: Arabic, Chinese (Simplified), Czech, Danish, Dutch, English, German, Greek, Hindi, Hungarian, Indonesian, Italian, Japanese, Korean, Norwegian, Polish, Portuguese, Romanian, Russian, Slovak, Spanish, Swedish, Thai, Turkish Supported languages TEXT: Afrikaans, Albanian, Amharic, Arabic, Armenian, Azeerbaijani, Basque, Belarusian, Bengali, Bosnian, Bulgarian, Catalan, Cebuano, Chinese (Simplified), Chinese (Traditional), Corsican, Croatian, Czech, Danish, Dutch, English, Esperanto, Estonian, Finnish, French, Frisian, Galician, Georgian, German, Greek, Gujarati, Haitian Creole, Hausa, Hawaiian, Hebrew, Hindi, Hmong, Hungarian, Icelandic, Igbo, Indonesian, Irish, Italian, Japanese, Javanese, Kannada, Kazakh, Khmer, Korean, Kurdish, Kyrgyz, Lao, Latin, Latvian, Lithuanian, Luxembourgish, Macedonian, Malagasy, Malay, Malayalam, Maltese, Maori, Marathi, Mongolian, Myanmar (Burmese), Nepali, Norwegian, Nyanja (Chichewa), Pashto, Persian, Polish, Portuguese (Portugal, Brazil), Punjabi, Romanian, Russian, Samoan, Scots Gaelic, Serbian, Sesotho, Shona, Sindhi, Sinhala (Sinhalese), Slovak, Slovenian, Somali, Spanish, Sundanese, Swahili, Swedish, Tagalog (Filipino), Tajik, Tamil, Telugu, Thai, Turkish, Ukrainian, Urdu, Uzbek, Vietnamese, Welsh, Xhosa, Yiddish, Yoruba, Zulu Daily limit: 10 000 characters Single Translation Limit: 500 characters -- WE LOVE FEEDBACK -- As always, we appreciate your feedback. Please email us at feedback@impalastudios.com with any suggestions or questions. If you are happy with this update, please let us know by rating and reviewing us in the App Store!